To get your team registered, please click HERE. 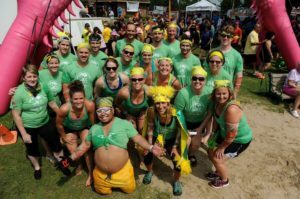 Dragon Boat Racing is the ultimate team building challenge! The race is 300 meters and takes between 2 to 3 minutes to complete by a team working in unison. Each team will have the chance to race three times on Sunday. Official rules and regulations can be found HERE.